What’s the next move Paul? 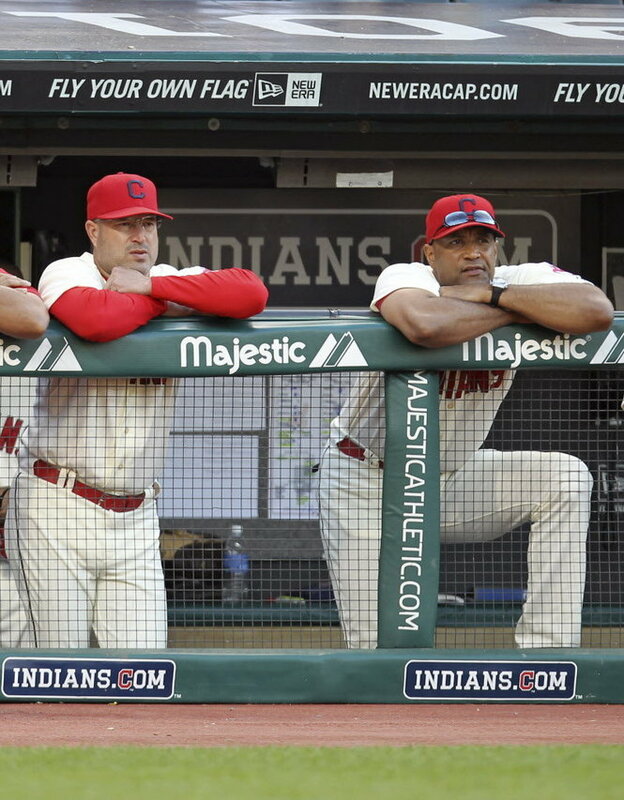 The Cleveland Indians fired manager Manny Acta on Thursday with just six games remaining in the season. “The Cleveland Indians would like to thank Manny Acta for everything he has done for the organization in his three seasons as our manager,” general manager Chris Antonetti said. “Manny’s passion for the game, positive attitude and tremendous knowledge of baseball helped guide us to a number of high points during his tenure. The decision to fire Acta, who was 214-266 in three seasons with the Tribe, raises two questions. The first is: why now? The season was lost long ago for the Indians, who currently are tied with Minnesota for the worst record in the American League. Since July 27, when the Tribe was just 3.5 games out of first place, they have gone 15-42 (the worst record in all of baseball, and that includes Houston, which is in pace to lose 109 games). They have had an 11-game losing streak; the first 0-9 road trip in franchise history; and went 5-24 in August, the worst effort in a single month in team history. But wait, there’s more! In that same time span, the pitching staff (5.37 ERA) and the starting rotation (6.44) have posted the worst ERAs in all of baseball. The offense has done its share, ranking in the bottom four in the American League in several categories, including on-base percentage, slugging percentage, average with runners in scoring position, home runs and runs scored. Throw in the three years that Acta managed the Washington Nationals and his career record is 372-518. When you add that all up it is hard to make a case for Acta staying on as manager. We even raised the question a few months ago if Acta is a good manager or not. But he certainly doesn’t need to carry all the water for the failed season. Acta most likely didn’t go to the front office and beg for a left field rotation of Johnny Damon, Shelly Duncan and Aaron Cunningham. And he probably wasn’t the one who pulled the trigger on the failed Ubaldo Jimenez deal. And he most likely was not filing the scouting reports that have led to the Indians failing on draft day repeatedly over the years. And who’s decision was it to give Grady Sizemore $5 million this year? How, exactly, the Tribe plans to do that remains to be seen. Sandy Alomar Jr. will take over as interim manager for the season’s final six games, which goes a long way toward answering our next question. As we wrote when the Browns fired Eric Mangini and when the Cavs fired Mike Brown, getting rid of the coach is the easy part. Having a plan to improve the coaching position is the hard part. (And it is kind of depressing that, in the little more than two years we’ve had this site, this is the third article of this type that we’ve written). So what’s the next move Paul? We have to wonder just how “tireless” that search is going to be, however. The fact that the Indians are selling Alomar, who has no managerial experience, as someone who is “beloved by the fan base” pretty much gives us the answer to that question. The Indians know they can’t hire a big-name manager because they can’t afford to pay someone. They’ve already brought back Kenny Lofton and Jim Thome for cameos and, with Omar Vizquel retiring after the season, there is no one left from the teams of the ’90s to bring back late in the year to sell a few extra tickets. So why not turn the team over to Alomar in the hopes that his hiring will distract the fans from a harsh truth: that the Tribe is more than likely going to be even worse on the field next year. That’s probably a little rough on Alomar, but it is hard to see any other logic behind the move. The Indians are going to want someone to work cheap and when they inevitably remove the interim tag from Alomar’s position, will sell the fans on the fact that the Blue Jays, Red Sox and Cubs have all kicked the tires on Alomar as a potential manager. It’s possible that Alomar really is the next great manager in waiting, but this is Cleveland: how often do those kind of odds pay off? The Indians have a hard enough time competing given the current economic structure of Major League Baseball (although it is rather embarrassing that they can’t compete in the AL Central, which is pretty bad). With moves like the one they made today – which for now seems to be more about throwing disgruntled fans a PR bone than improving the team – it becomes a little bit harder to see the team competing any time soon. Whatever the next move is, the team better hope it is a good one.